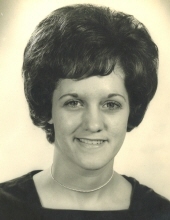 Sandra Yates Grizzard, age 74 of Carrollton, passed away April 10, 2019. She was born May 5, 1944 in Carrollton, Georgia, daughter of the late Charles Amon Yates, Sr and Dorothy Scott Yates. She was a homemaker and a loving mother and grandmother. She was a member of Antioch Baptist Church. She is preceded in death by both her parents. She is survived by her loving husband, Jack Grizzard of Carrollton; her children, Kim Grizzard of Carrollton, Kerry and Wendy Grizzard of Carrollton, Kevin and Sandi Grizzard of Canton, J.T. and Stormi Grizzard of Phenix City, AL, and Dr. Kacy and Felipe Vanegas of Macon; sisters, Debbie Collins and Barbara Hamm both of Carrollton; brother, Dr. Charles Yates of Hiram; and eleven grandchildren. Funeral service will be conducted Saturday, April 13, 2019 at 2:00 PM from Antioch Baptist Church with Rev. Jamie Beam and Rev. Gearold Thompson officiating. The family will receive friends in the church fellowship hall following the service. In keeping with the family’s wishes, her body will be cremated. Messages of condolences can be sent to the family at www.martin-hightower.com . To send flowers or a remembrance gift to the family of Sandra Yates Grizzard, please visit our Tribute Store. "Email Address" would like to share the life celebration of Sandra Yates Grizzard. Click on the "link" to go to share a favorite memory or leave a condolence message for the family.